Premiering January 8, 15, and 22 2013 on PBS. "Abolitionist allies Frederick Douglass, William Lloyd Garrison, Harriet Beecher Stowe, John Brown and Angelina Grimké turned a despised fringe movement against chattel slavery into a force that literally changed the nation." 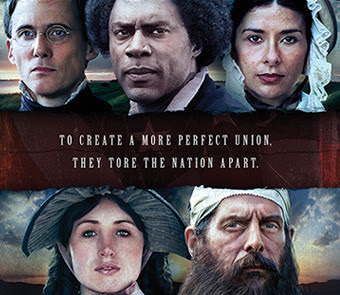 Watch The Abolitionists on PBS. See more from American Experience.